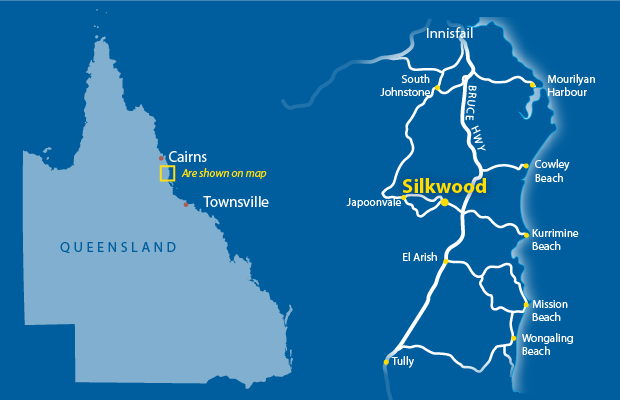 The small rural school of St John’s at Silkwood is located in the heart of the Cairns Diocese’s Southern Deanery in the Johnstone Shire. 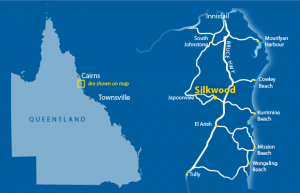 Geographically placed between the larger towns of Tully and Innisfail, the school draws many of its students not only from Silkwood but also the surrounding communities of Kurrimine Beach, El Arish, Japoonvale and Mission Beach. Bus transportation is available from Mission Beach, El Arish, Kurrimine Beach, McCutcheon Road, Spanos Road, Silkwood, Japoonvale and No 4 Branch Road. We are blessed with a massive 12 acres of playground which incorporates a soccer field, 400m athletics track, huge undercover area, synthetic run ups to our two long jump pitts and much more!